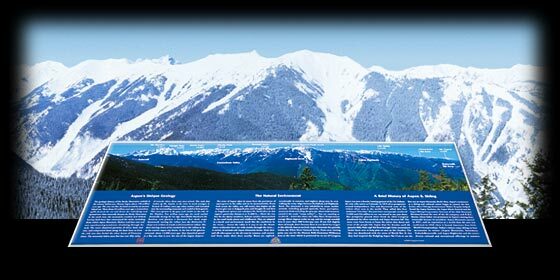 Broad panoramic views make this interpretive sign a favorite for Aspen visitors. Thousands of visitors have explored the unique history, geology and ecology of the Aspen/Snowmass area by viewing the sign situated atop Aspen Mountain. Environmental interpretive signage serves to illustrate Ajax Design's commitment to increasing awareness of important land use and wildlife issues.